Apartment with exceptional views of the wonders of Rome. It has free wifi and is in one of the oldest streets of Rome. From every window you can see historical sites such as the Palatine, the Velabro, the Temple of dress. The maximum availability is for 5 people, with the availability of two bedrooms and a large living room with sofa bed. Bathroom with double shower and separate kitchen and fully equipped. To make your stay more pleasant we will provide you with a welcome drink and all the necessary information to make your stay more pleasant. The bathroom has a double shower and is complete with washing machine for guests to use. Property was dated but overall it was comfortable. The tv didn’t work the first night but owner went out and purchased a new one the next day; however, she didn’t take the time to set it up so my family could watch tv once our day of walking was done. The hot water heater was not enough for even two people to take a comfortable shower in one evening. We are a family of 5 and we had to split up 2 in the evening and 2 the following morning to shower while the 5th member showered in the cold (extremely fast shower). Property owner was very nice and professional. Good facilities in the apartment and we cooked an Italian meal with ingredients we bought next door from a Farmers Market after a nice day walking around the nearby Colosseum and Palantino Hill - our hosts were very helpful and welcoming- a perfect visit to Rome! Big rooms in the apartment were nice. This apartment gave us have the Roman feeling. We are so happy we choose to stay at this location in Rome. OMG! location, location, location. Its right behind Palatine Hill and the Forum is right up the walk way. There are restaurants and stores on the corner and a huge market right down stairs. The apartment itself is very charming and clean. You have everything you need. Manuela was a great host that had wine waiting when we arrived. We walked to all of the locations from the Colosseum, Trevi, The Pantheon, Castel Sant'Angelo and the Vatican then took Uber back. Plenty shopping in the area. What a way to celebrate my 50th birthday. Lovely, very clean home. Well equipped! Manuela, stocked snacks for us and arranged for Mario to take us to the airport very early! He brought rolls and water for us! Very sweet! We had a very enjoyable stay in this comfortable, superbly equipped apartment. We were welcomed with helpful instructions and little extras that were much appreciated. 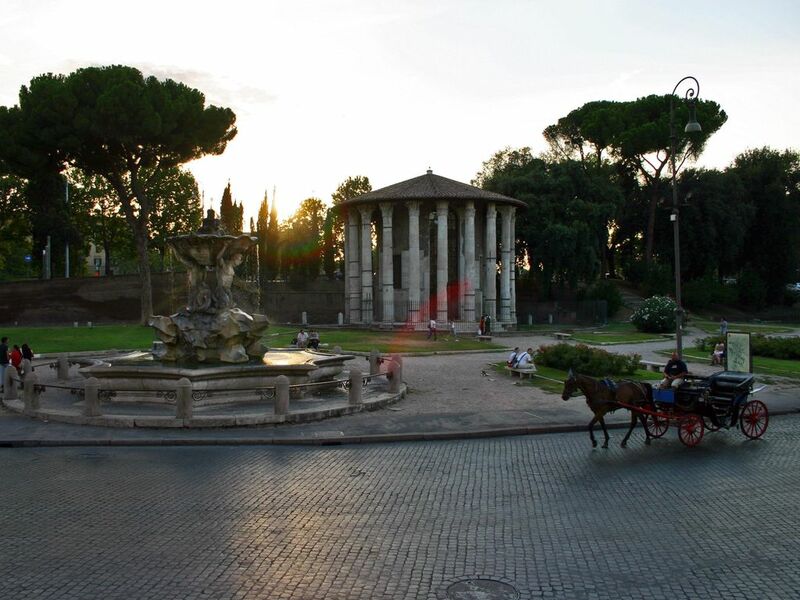 So close to the Roman historical sites, across the river to Trastevere and easy walking to everything you want to do in Rome. Great cafe a few doors along the road. Help with transport arrangements to the airport were also much appreciated. Great location close to sites and transportation. Nice roomy accommodations, comfortable king bed. Staying in our apartment is to enter for a few days in a real Roman house and bring with it an indelible memory of Rome. All'arrivo verrà offerto un piccolo break di benvenuto.